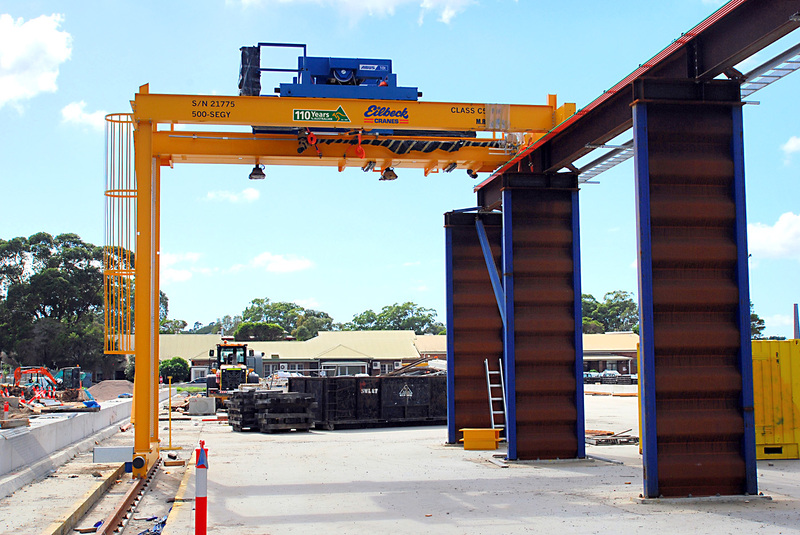 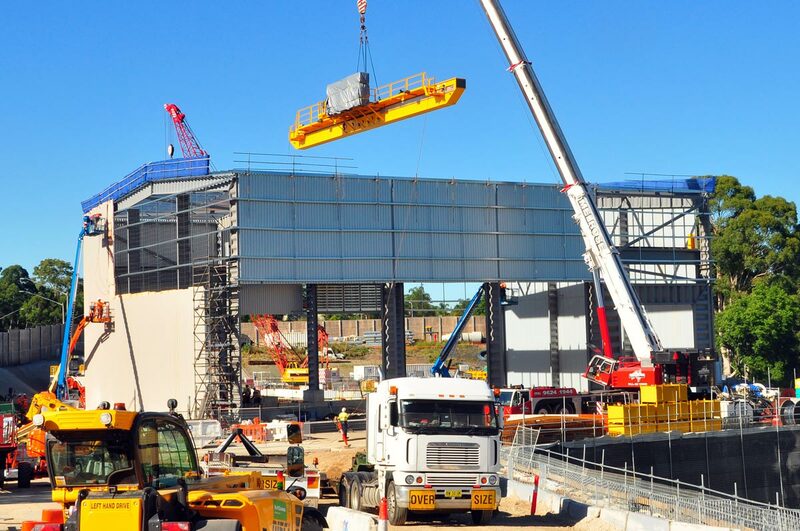 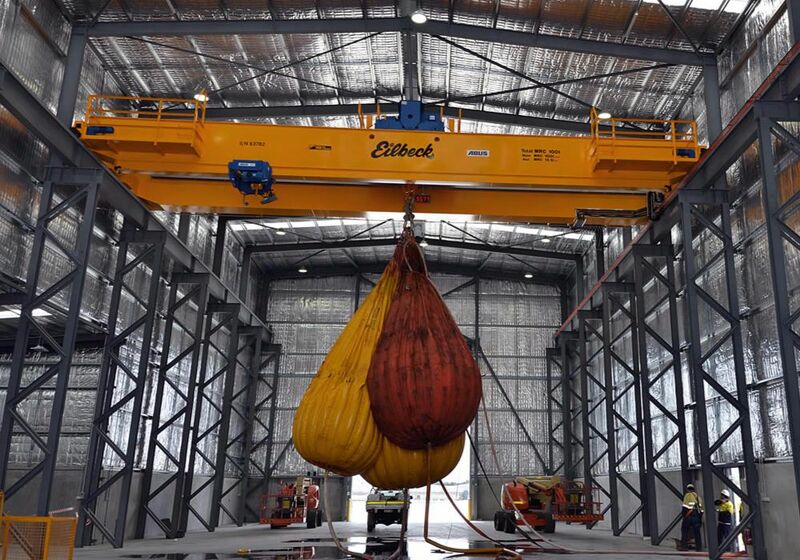 Eilbeck has been engaged in pre tender of the design of segment handling cranes for the precast facility at Melbourne’s Deer Park for 8-12 months. 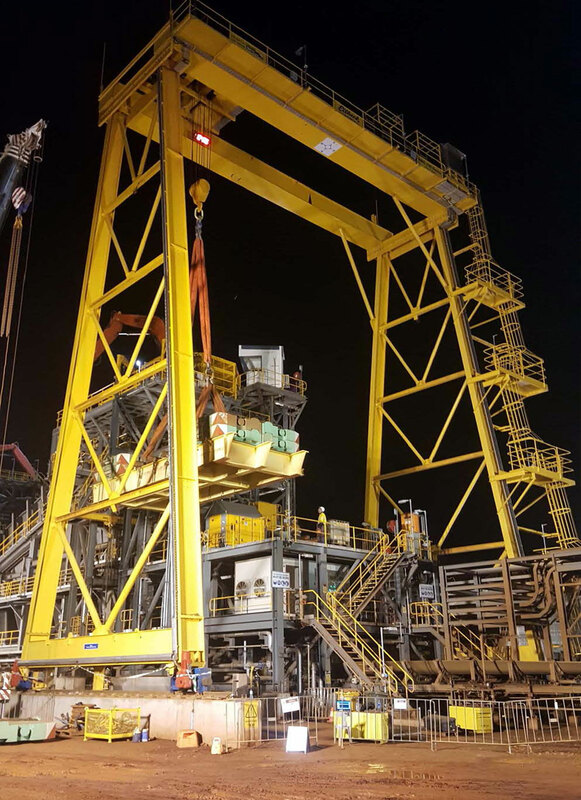 The 100t full portal crane commissioned at the East Site primary crusher facility has passed the load test (photo below) last Saturday night. 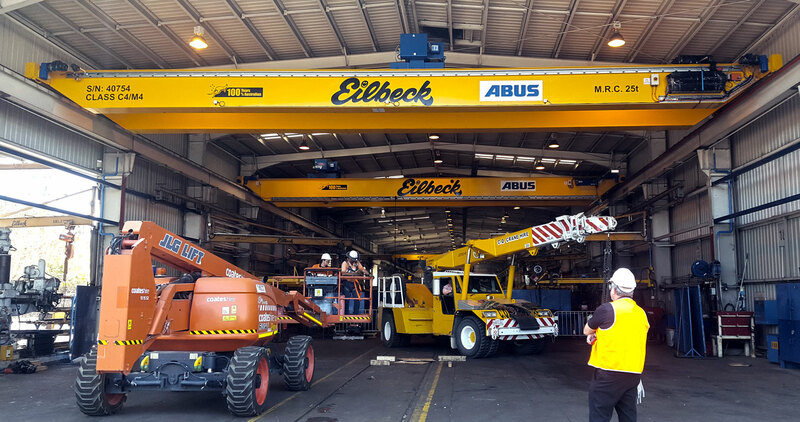 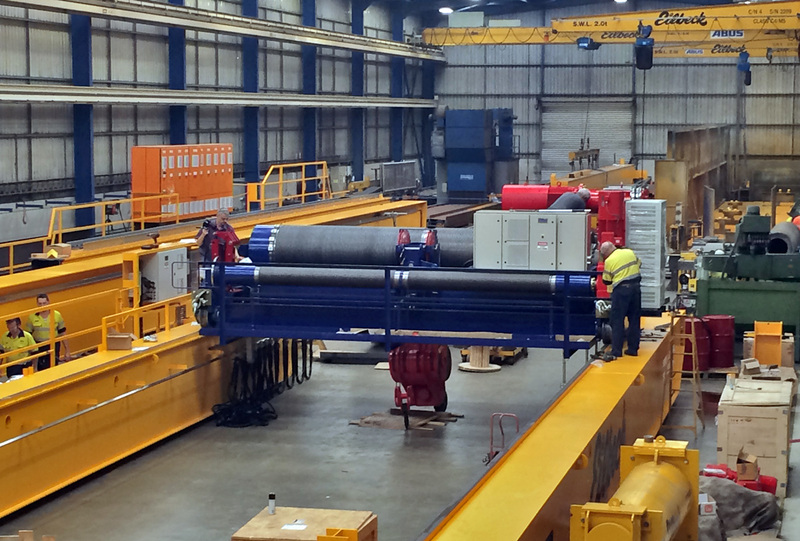 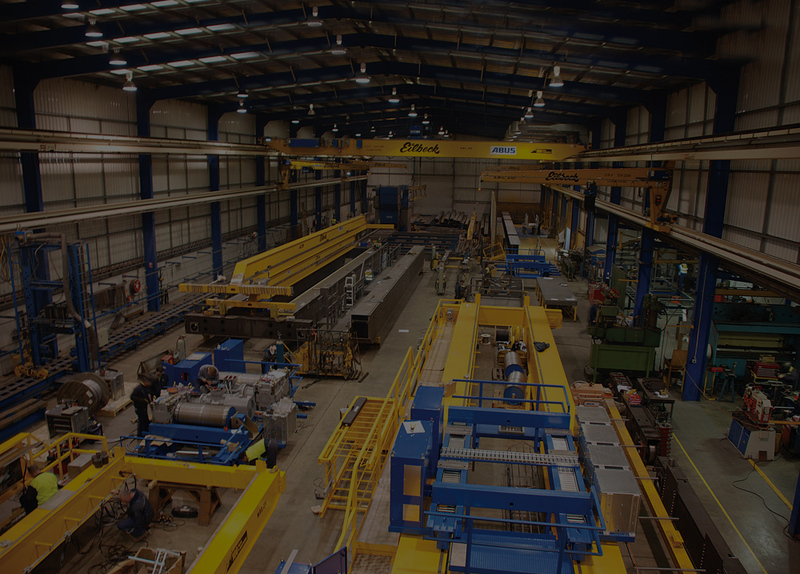 The new 25t x 17m span double girder overhead crane, manufactured in Eilbeck’s state of the art Mackay facility was delivered, installed and commissioned on time and on the budget, adding to the already healthy number of Eilbeck Cranes in service on the site. 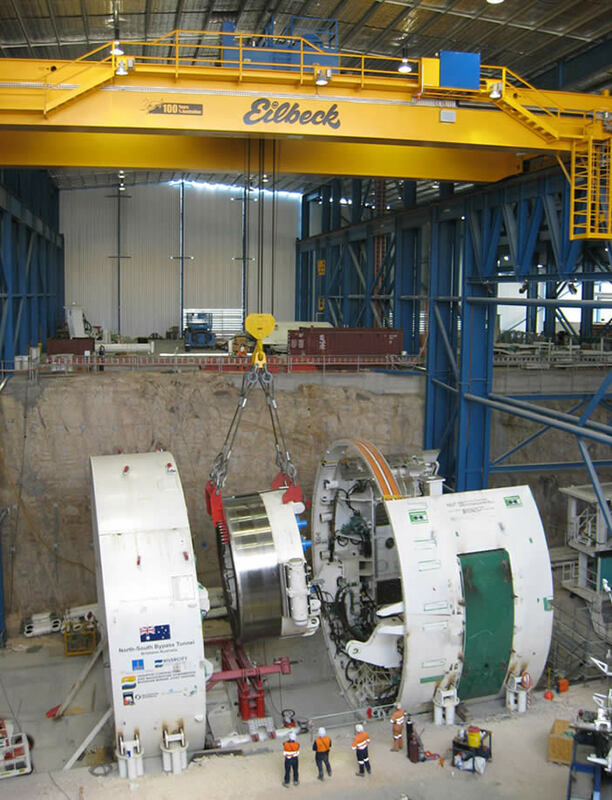 Eilbeck worked closely with BHP to develop the best crane solution for shell demolition, shell construction and Composite Furnace Module installation. 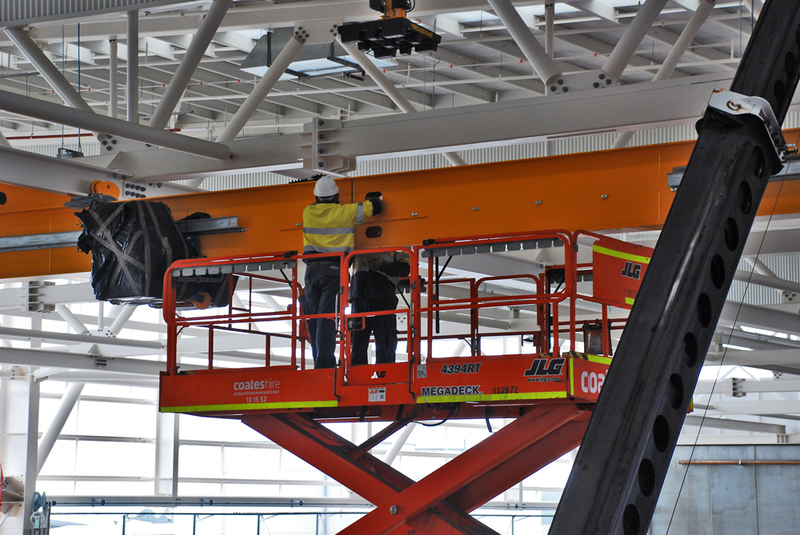 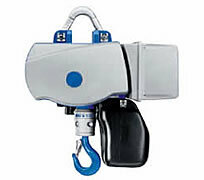 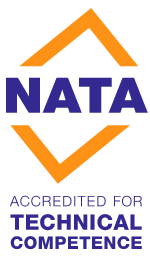 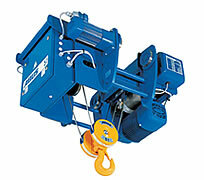 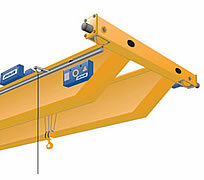 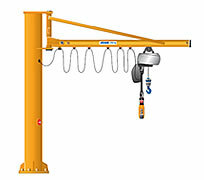 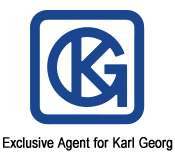 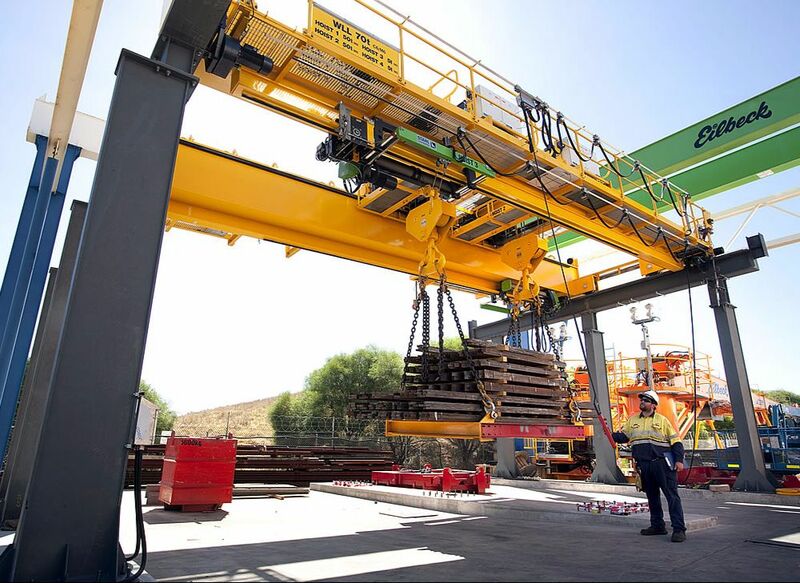 Product of this cooperation, the circular crane has been designed in compliance with Australian and BHP Billiton Standards. 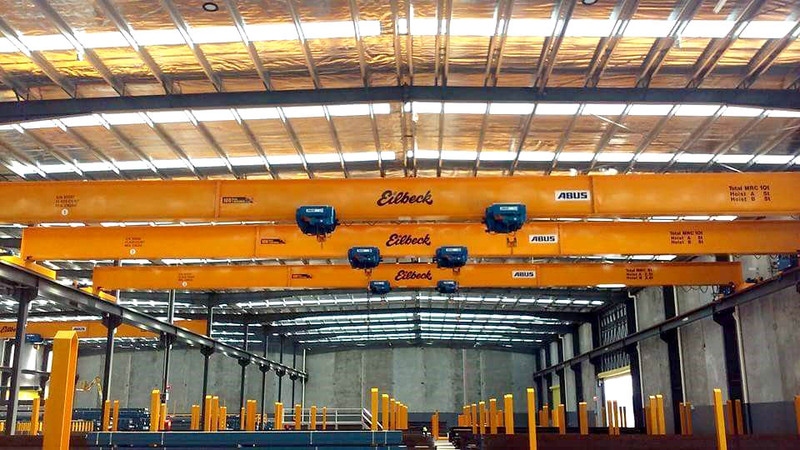 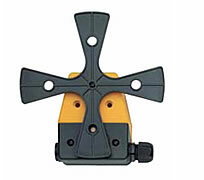 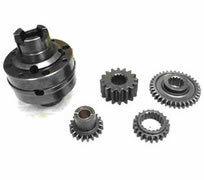 We see the requirement of Eilbeck to manufacture in Australia to keep quality guaranteed high, and engineer in house so there can be constant discussion between manufacturing and design teams to ensure continual development. 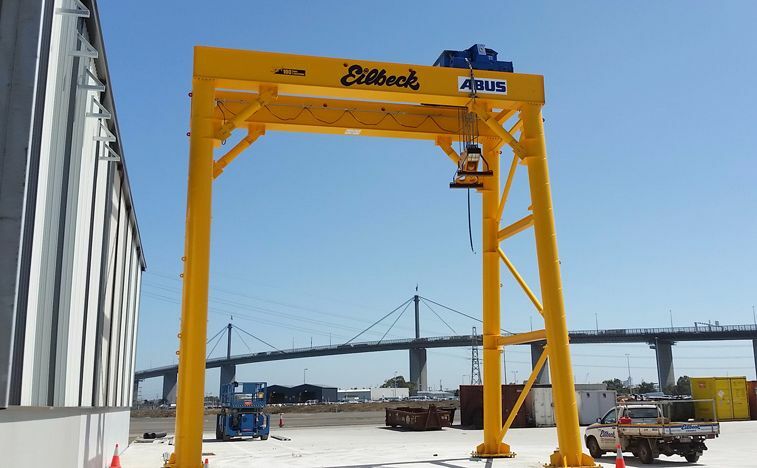 When global oilfield provider of engineered services and products to the offshore oil and gas industry Oceaneering Australia Pty Ltd made the decision to consolidate its fragmented Perth operations into one facility, they chose Eilbeck Cranes to provide the 2 x 10 Tonne and 100 Tonne overhead travelling cranes. 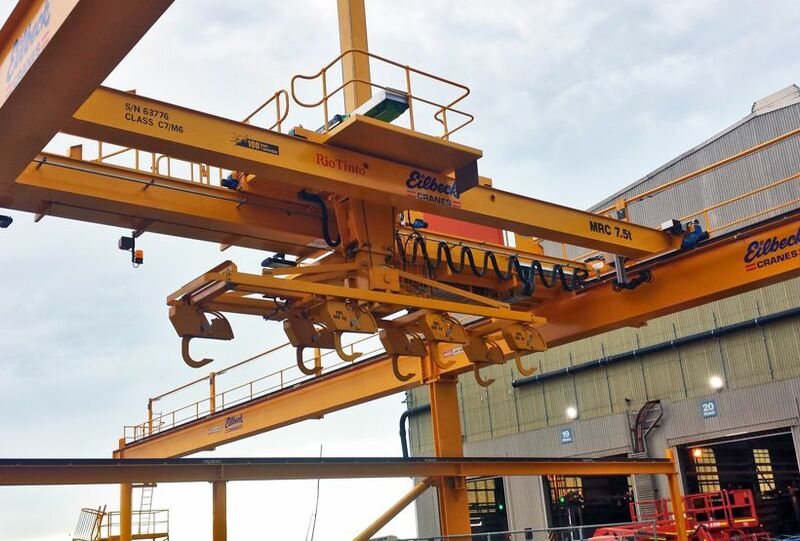 As part of Rio Tinto Iron Ore’s Rail Capacity Enhancement project, Eilbeck Cranes has supplied three fully automated pick and place overhead cranes. 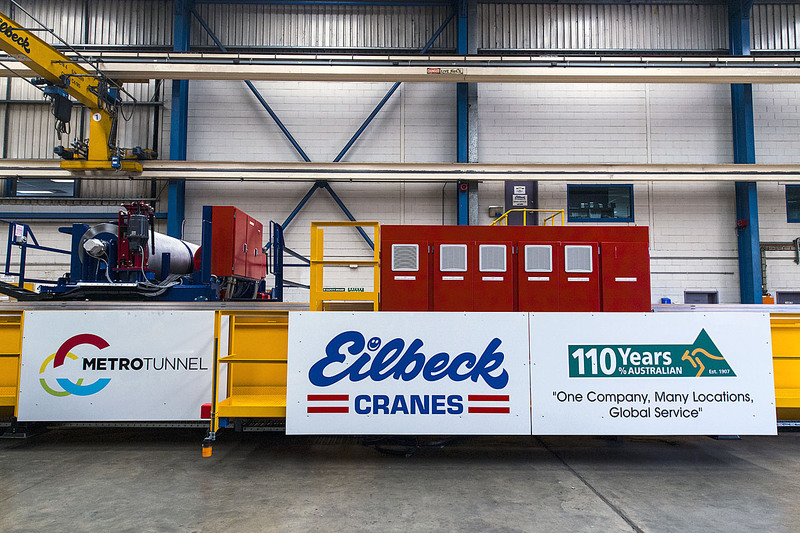 Eilbeck Cranes has successfully completed Factory Acceptance Testing and delivered 5 cranes capacity ranging from 5t to 70t(50t+50t) Cranes for DSME for FPSO for the Ichthys LNG offshore Project.